Another elaborately titled model from Pulse, a UK-based importer of Chinese scooters and motorbikes, has slotted into the top ten best sellers list for October. 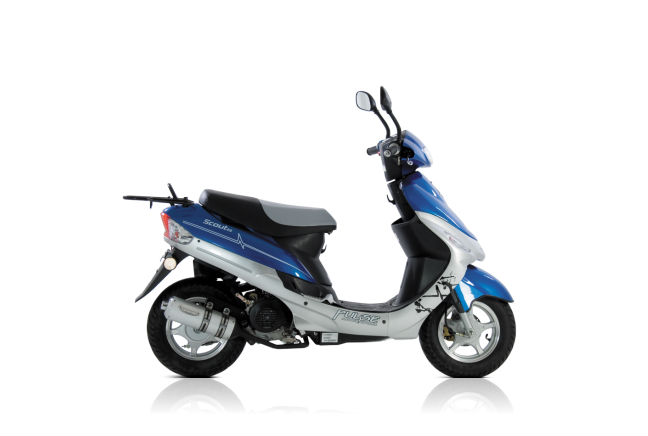 This time it’s the BT 49 QT-9D Scout, a 50cc scooter that consistently tops the bestselling chart for sub-50cc and scooter categories. At £649.99, it’s easy to see why so many new riders plump for the little model, however it’s not just price that helped Pulse shift more than 100 units last month. Despite its Chinese ancestry, usually a code word for unreliability and impossible-to find spares, the Scout is a reliable model and one that makes riding motorbikes much more accessible for 16 and 17 year olds.